The safety of others should never be compromised. Keeping dark areas well lit, whether indoors or outdoors, is a necessary step to take to ward off danger. Cors Lighting offers LED canopy lights to install in various locations for protection where pedestrians may pass. 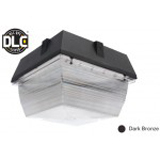 Shop for efficient, durable canopy-style lights if looking to eliminate areas of overwhelming darkness. We carry a wide selection of items with various styles of housing, wattage and lumens output. 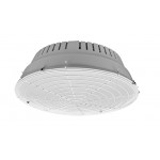 Choose the best fixtures for your lighting plans or application purposes. Our products are ideal for parking areas, entrances, walkways, underpasses, loading docks and recreation areas, in addition to many warehouse and security lighting applications. Most mount easily for an aesthetically pleasing lighting solution that will provide safety where needed. 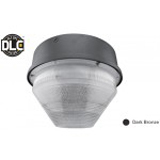 Buy LED canopy fixtures with Cors Lighting for the best lighting solutions and energy savings. Call 217-806-0502 and ask about bulk buying discounts. And take advantage of FREE shipping on all orders over $99!